Recently, Allpar road-tested the Jeep Wrangler Sahara, finding a mixture of old and new inside. Older items included the hard-drive stereo, complete with a tilting screen to show a DVD reader; the basic design, one of the oldest in the FCA empire; and much of the underlying hardware. Newer items included welcome revisions to the stereo, including better USB thumb drive handling, and top-removal and window-lowering tools in the glovebox (which was not quite large enough for the owner’s manual, oddly enough). The 2015 model year ushered in a standard eight-speaker stereo with a new sound bar; the optional Alpine Audio Package had nine Alpine speakers with a new all-weather subwoofer under the cargo floor), while the 2016 Saharas will have an olive green interior option, body color bumper, and different wheels. The 2014s had minor and mostly cosmetic changes, other than the launch of a Rubicon X and Freedom III. The five-speed automatic replaced an older four-speed in 2012, as the old 3.8 “minivan engine” was swapped out for a new Pentastar V6. There were also some aerodynamic improvements and off-road upgrades for the Rubicon. The interior had been redesigned in 2011. A “completely new” Wrangler is due in 2018 or so, but it will most likely keep the basic body-on-frame, solid-axle setup of the current Jeep icon. 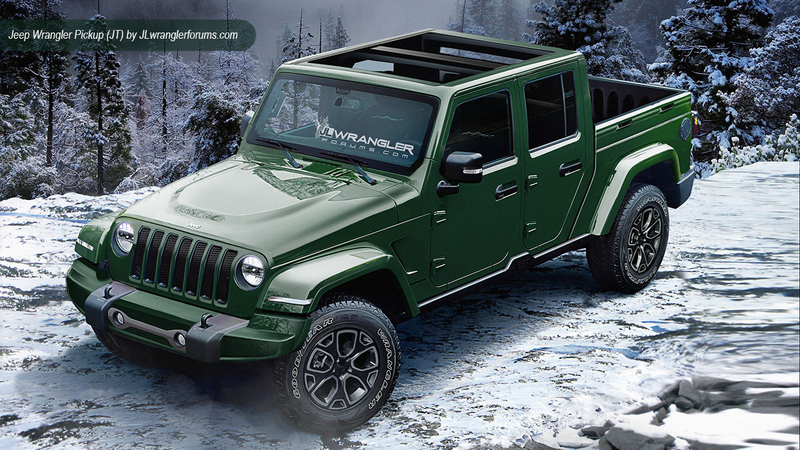 The next-generation Jeep Wrangler won’t be all aluminum, according to FCA CEO Sergio Marchionne. Marchionne spoke to reporters at the SAE Foundation’s Annual Celebration last night. He was the guest of honor at the event where he received the group’s 2015 Industry Leadership award. According to a report in today’s Detroit News, Marchionne said that company tests showed the costs of an all-aluminum body outweighed the weight-saving benefits. “Because of the difference in cost, not just the new material but the actual assembly process, I think we can do almost as well without doing it all-aluminum,” Marchionne was quoted as saying. The decision could have been fueled by the difficulties Ford Motor Company faced in producing the latest-generation F-150 pickup. The problems, including the tearing of aluminum body panels in the stamping process, caused delays and constrained early deliveries of Ford’s moneymaker. The announcement could boost the prospects for Toledo, Ohio, which is spending millions of dollars trying to keep Wrangler production in the city. Marchionne didn’t give any hints, but said Toledo is one of just two sites being considered for the next-generation of the Wrangler. During his comments, Marchionne also spoke about the National Highway Traffic Safety Administration’s (NHTSA) latest actions. He said the agency’s increasingly aggressive stance will increase automakers’ costs as they try to meet new demands; and that he will not be testifying at the NHTSA’s public hearings scheduled for July 2. Speaking about the new Jeep Renegade, Marchionne confirmed that several issues, including some software problems, were limiting availability of the Italian-built small Jeep. Jeep’s off-road enthusiast focused Wrangler SUV will be significantly more fuel efficient for the 2018 model year. The iconic utility vehicle is slated to be fitted with an eight-speed automatic transmission that will ease its fuel consumption. Chrysler currently uses the same transmission in the Ram 1500 pickup truck, the Dodge Durango SUV and the Jeep Grand Cherokee SUV. Jeep hasn’t officially announced the change, but a filing with the SEC originally reported by Automotive News is tipping the brand’s plans. According to the filing, Jeep expects the Wrangler to return nine percent better fuel economy when equipped with the eight-speed than it currently does with a five-speed automatic. Currently the five-speed automatic Wrangler is rated to return 17 MPG in city driving and 21 MPG on the highway. 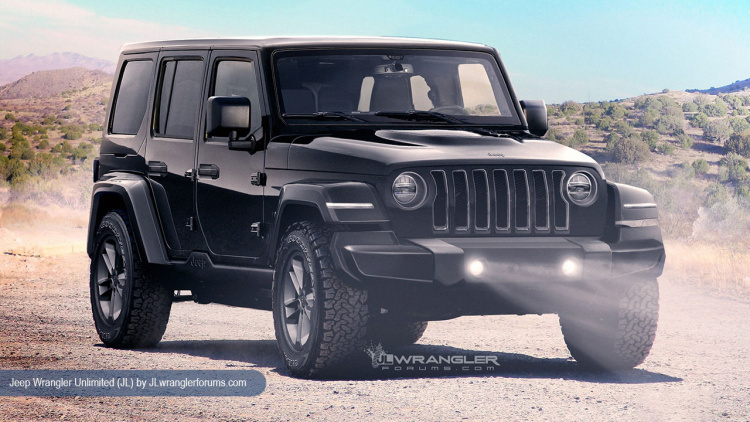 The Wrangler is slated to be re-designed for 2018 with an aluminum body that will also enhance fuel economy. Chrysler needs to improve average fuel economy across the Jeep line and a smaller displacement engine than the current 3.6-liter V6 will be necessary to do so in the Wrangler, FCA CEO Sergio Marchionne has said. Other efficiency-minded changes are afoot at Chrysler. The company plans to produce its next-generation plug-in hybrid Town & Country minivan at its Windsor, Canada assembly plant.